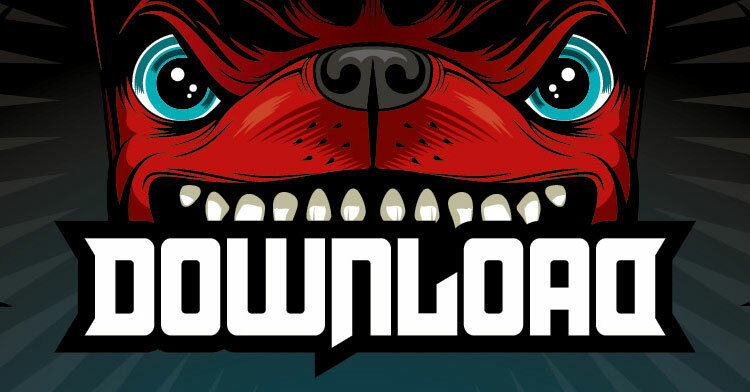 There’s not a year that goes by when the lineup for the Download Festival doesn’t look amazing. If you can name a great rock band, chances are they’ve graced the stage at the hallowed grounds of Donington park. And, surprise surprise, this year was no different: Kiss, Slipknot and Muse as headliners and around another 100 bands to choose from? Jesus wept. While the Sonisphere festival, which I attended last year, was a bit more calm and restrained, Download is mayhem. Alcohol fuelled mayhem. Now, seeing as I was found on the Friday morning in the foetal position, clutching a bottle of orangeade and boking, I was close to death by the time the bands started. But, as it turns out, you forget about your crippling hangover when there are some awesome bands to watch, with a headline-worthy set from Five Finger Death Punch being a definite highlight, and headliners Slipknot delivering a frankly unbelievable show. I’ve seen Slipknot twice before, but they were better than both those times within three songs at Download. I don’t know what they did, but they should do it all the time. Even the torrential rain, which starts around halfway through the set and continues until the early hours of the morning, does nothing to dampen the mood. The Saturday seemed to be the day people talked about most, purely because of the decision to book Muse as headliners. I know right? A massive rock band headlining a massive rock festival? Madness! Unsurprisingly, Muse silence the doubters with an epic set, which, as well as the usual crowd pleasers, contains lesser heard, heavier material like ‘Micro Cuts’ and ‘Citizen Erased’, much to the delight of the massive crowd. Earlier in the afternoon, A Day To Remember cement their status as future headliners in front of one of the biggest crowds of the weekend, and Rise Against play a short but sweet set in the blazing sunshine. However, the day belongs to Faith No More, who embarrass every other band on the bill with one of the best gigs I’ve ever seen. Sunday is a bit more relaxed, with the bill catered towards more veteran rock bands. However, bands like Lamb of God and a surprise set from the Darkness puts the older bands to shame, in particular Motley Crue, who rely too much on backing tracks and lip syncing to be enjoyable, to the point where I actually gave up and left halfway through. Thankfully, Kiss see out the weekend on a high, with a hit packed set and a retina scorching show being the perfect end to the weekend. Now, with a bill like this year, how will they top it? Well, with rumoured headline slots from Bring Me The Horizon, Iron Maiden and Foo Fighters, I imagine they’ll find a way. Posted in Music and tagged festival, Music, review. Bookmark the permalink.